1. What are the biggest obstacles facing Walmart and other foreign retailers in India? 2. Summarize some of the elements in India's political, economic, and cultural environments that can impact the market opportunity there. 3. Review Figure 1. 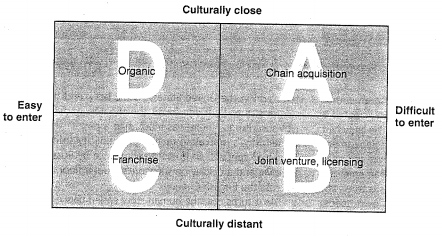 Which quadrant of the matrix applies most directly to India? Why? 4. Going forward, to what degree will Walmart be required to adapt its business model in India? What significant information has been omitted? Are there any value assumptions and conflicts or descriptive assumptions? If so, what are they? What conclusions are possible?